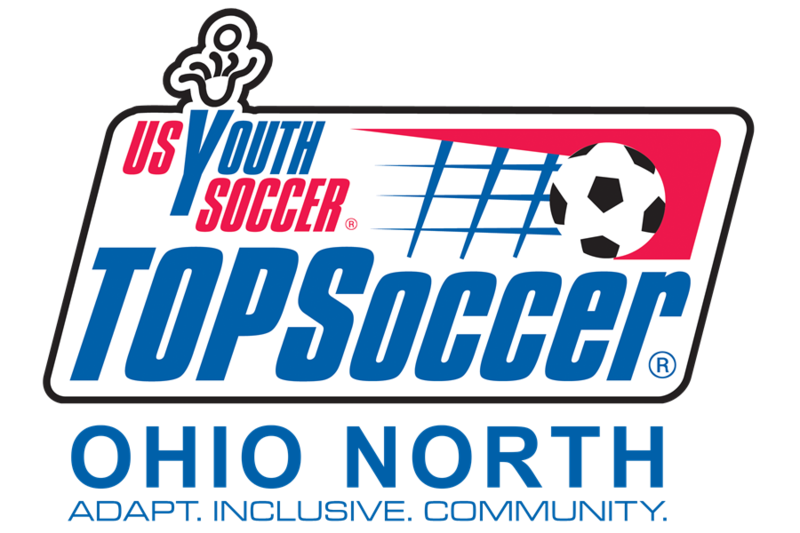 US Youth Soccer TOPSoccer (The Outreach Program for Soccer) is an adaptive soccer program for athletes with special needs. TOPSoccer athletes spend time learning both soccer and socialization skills in a safe, accepting environment with the assistance of volunteer buddies and coaches. Each session emphasizes fun and every athlete is challenged to grow and learn within his/her abilities. Through the assistance of buddies and coaches, the athletes are encouraged to give their best effort, work hard to be the best player he/she can be and join their fellow players to be a great teammate. Anyone with an intellectual disability and/or physical impairment is welcome to join a local TOPSoccer program. For more information or to start a program in your community please contact Jen Fickett jfickett@ohionorthsoccer.org. TOPSoccer brings participants with intellectual disabilities and physical impairments together with able bodied volunteers. Share your love of the game with some great kids and make a real difference in someone's life. Earn valuable community service hours or valuable experience if you are looking for a career in Special Education or Occupational Therapy. No previous experience required. Contact a local program for more information. Make a difference today! If you are 18 or older, a background check is required for all adult volunteers, including compliance with Ohio North risk management policies and applicable state laws. Contact Randy Corey at randy@cincytopsoccer.com for more information.